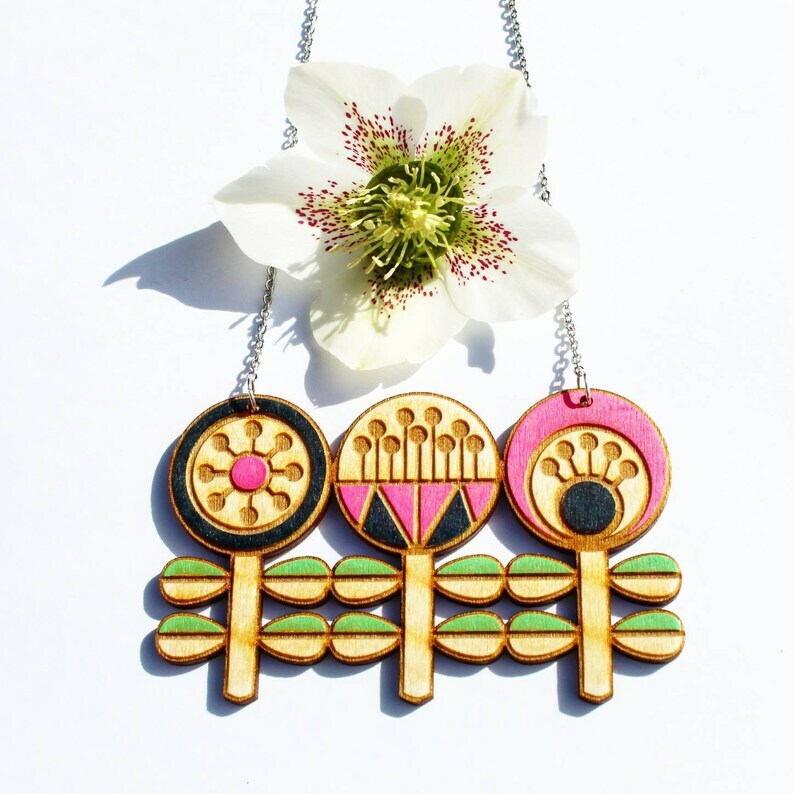 A unique wood Scandi style garden necklace; hand painted in my studio and varnished for protection. The three flowers measure a total of 9cm in diameter. Including the chain, the necklace is 52cm in length.